I just got back from the GeekGirlCon ‘15 Kickoff Party and Concert, featuring the Portland-based supergroup the Thundering Broadsides—uh, I mean, the PDX Broadsides and the Thundering Asteroids, who are normally totally separate bands, but this time ended the night in an Avengers-style teamup. But more on that later! One great thing about nerd concerts, and GeekGirlCONcerts in particular, is that you can get melodic folkish bands with complex harmonies (like the PDX Broadsides) and high-energy punk (like the Thundering Asteroids) in the same lineup, all in a relaxed atmosphere where kids of all ages can hang out, alternating between board games, dancing, and some high-quality muppet flailing. 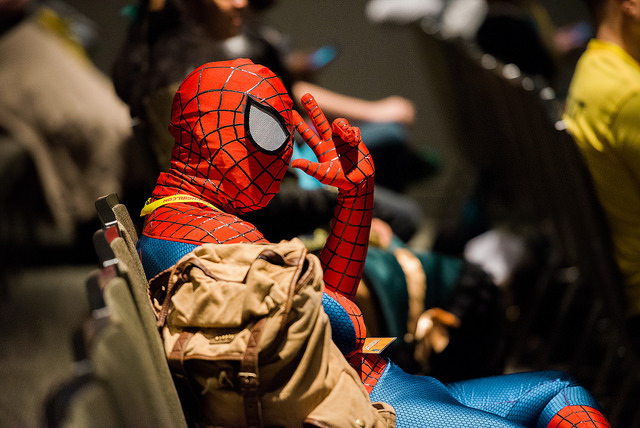 GeekGirlCon ‘15 festivities officially kick off today, and I hope you’re all as excited as I am! If you’ve already scored your pass, head to Registration at the Conference Center on Friday from 4pm-7pm to avoid the weekend rush, or on Saturday and Sunday morning starting at 9am. You can also come to the Kickoff Party/GeekGirlCONcert Friday night and pick them up at the door. Great, now you’ve sorted yourself out with a badge–how do you keep track of all those panels you want to see? 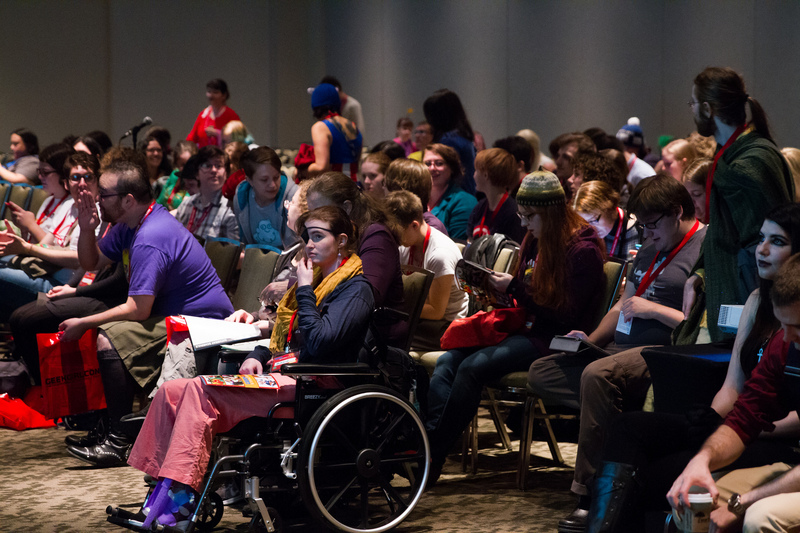 Well, iOS and Android users can download the Guidebook app, search for GeekGirlCon, and add us to their events. It’s an interactive schedule and planner, where you can create your own schedule (with reminders), tag booths you want to visit, and more. There’s also a browser version. Oh, that’s right–have fun! We can’t wait to see you! Our gaming area may be located on the lower level of the Conference Center, but if you want dank, creepy, and dungeon-like, you’ll have to get your GM to take you on a dungeon crawl, because our basement is sure to be bustling. 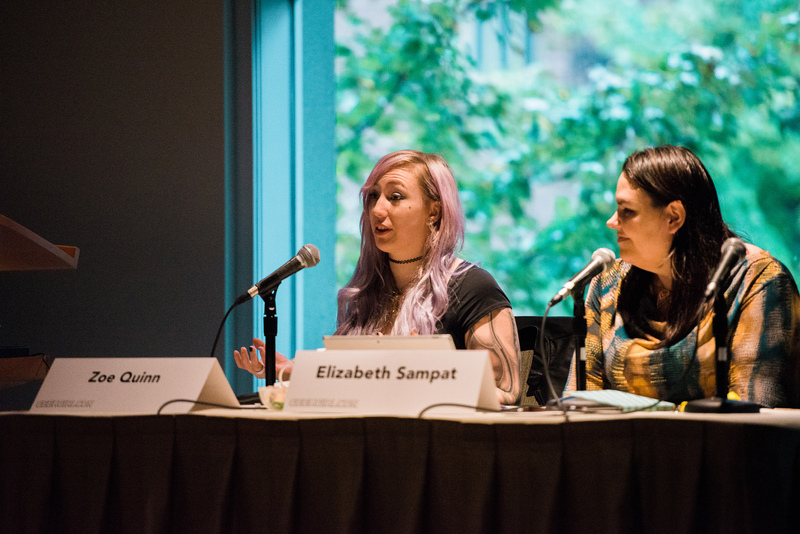 This is shaping up to be a banner year for gaming at GeekGirlCon—all your favorites are returning, along with many new events and goodies. 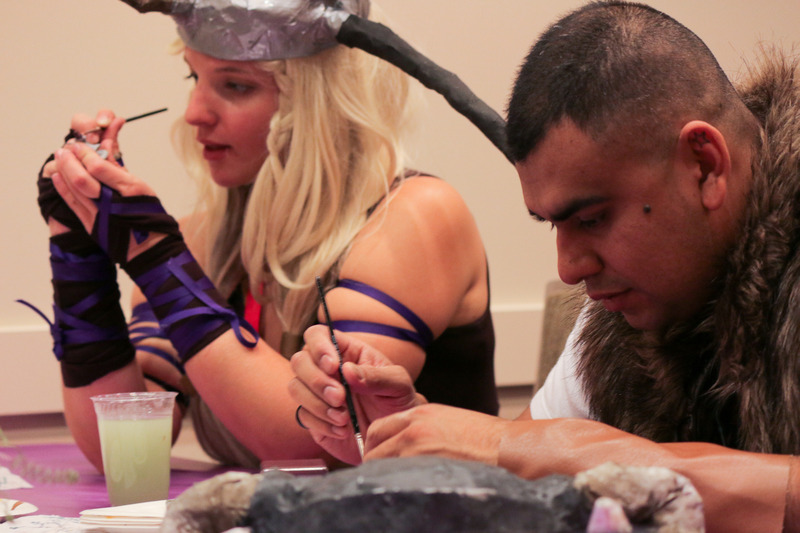 One of last year’s big highlights was the Paint ‘n’ Take miniatures event. Kids and adults alike loved picking out and painting their own miniatures (provided by the ever-generous Privateer Press). This year it’s scheduled for 10am-1pm on Saturday, so be sure to show up early before the miniatures run out. 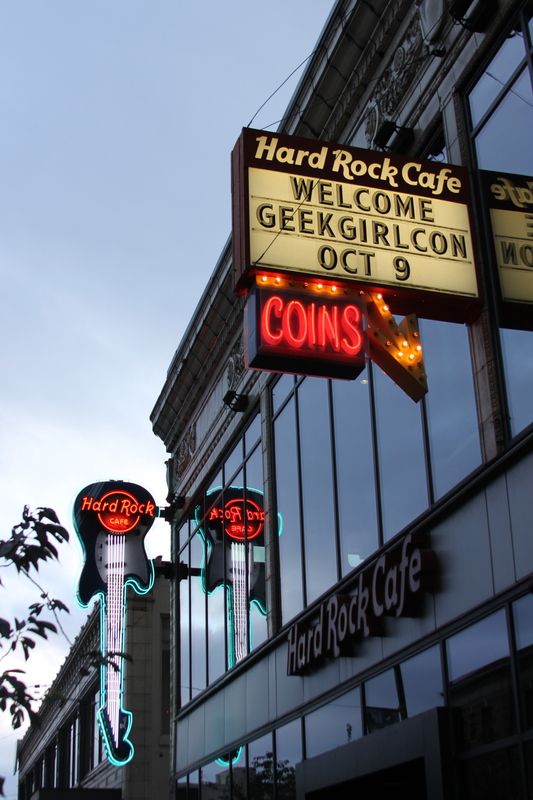 GeekGirlCon ’15 Passes in Stores Now! Update 10/7: Please note: all online passes are now SOLD OUT. Some stores may still have them in stock; please call ahead to make sure. 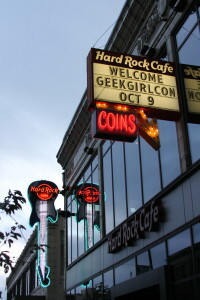 Just in case you missed the window for early bird pricing online, GeekGirlCon is partnering with a number of brick-and-mortar stores to bring you passes for the super-bargainous prices of $35 for a two-day adult pass, or $20 for a one-day adult pass! On the other hand, if you feel that a few dollars is a small price to pay for ordering at home in your Pokémon footie pajamas, that is also a valid life choice. Buy passes online, and there’s no need to interrupt your Netflix marathon. Whatever you decide, make sure to grab passes before the big day—we’re headed for yet another sold-out Convention, and we’d hate for you to miss it! 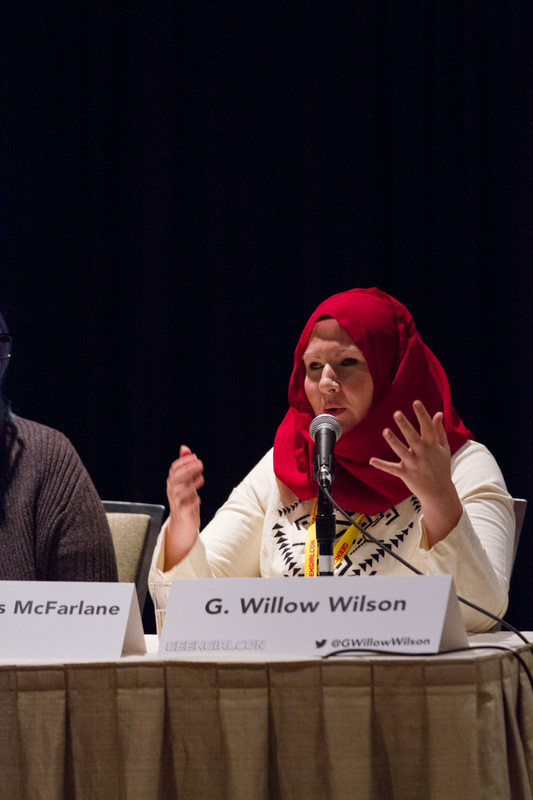 We on staff at GeekGirlCon are thrilled to share that comic book writer and novelist G. Willow Wilson will be joining us as a featured contributor at GeekGirlCon ‘15 – even if she has to miss New York Comic Con to be here! She’s one of a upcoming cadre of comic book (and other pop culture) creators who engage deeply with their fanbase, who wear their geeky fannish roots on their sleeve. 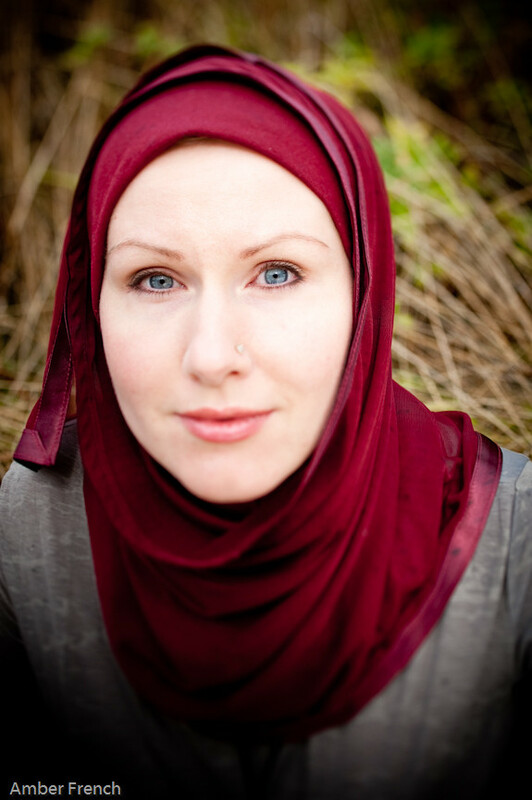 She’s active on Twitter, answering fan questions and squeeing alongside us at fandom news. 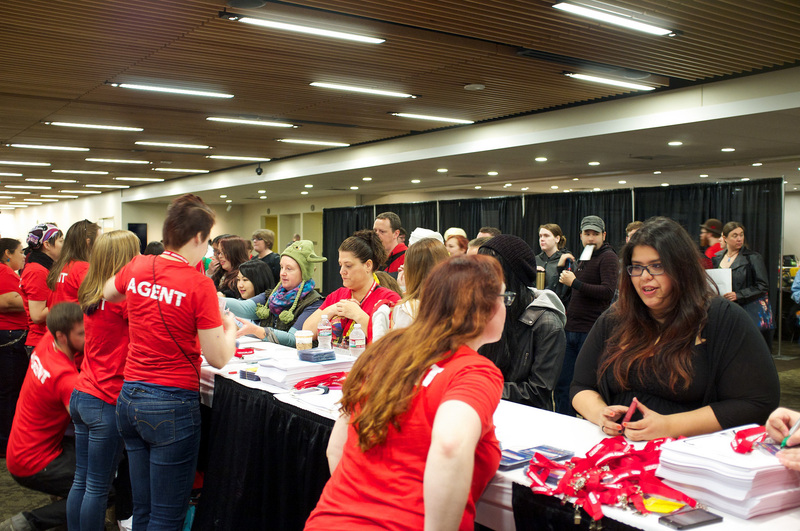 As well as celebrating the amazing accomplishments of women in geekery, GeekGirlCon has always had a strong focus on helping women and other marginalized geeks find the tools, contacts, know-how, and resolve to achieve their own goals. 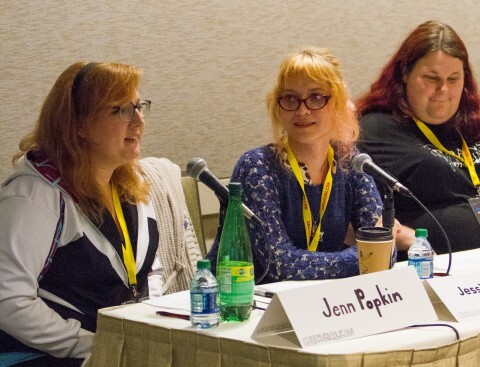 In addition to our GeekGirlConnections room (we’ve already highlighted some of the organizations who’ll have tables there this October), we have a range of awesome panels and workshops lined up where you can pick up tips on everything from cosplay to community building to content creation.